I'm thinking Sarah smokes, idk about Jane. Jane's hair is natural gray, while Sarah probably tints hers. Outwardly they both look healthy, but who knows. Lady Kitty ---- looks just ok this time. Raine, Countess Spencer (née McCorquodale; 9 September 1929 – 21 October 2016) was a British socialite and local politician formerly known, by prior marriages, as the Comtesse Jean-François Pineton de Chambrun, Lady Dartmouth and Lady Lewisham. She was the daughter of Alexander McCorquodale and the romantic novelist and socialite Dame Barbara Cartland. Her taste was frequently questioned and her relationship with her stepchildren much discussed. As Countess Spencer, Raine was unpopular with her stepdaughter Diana, who became Princess of Wales. Her three marriages, at varying times, accorded her five titles: the Honourable Mrs. Gerald Legge, Viscountess Lewisham, Countess of Dartmouth, Countess Spencer and Comtesse de Chambrun. Raine McCorquodale was the only child of novelist Barbara Cartland and Alexander McCorquodale, an Army officer who was heir to a printing fortune. Her parents divorced in 1936, and her mother promptly married Alexander McCorquodale's cousin, Hugh McCorquodale, by whom she had two sons, Ian and Glen McCorquodale. William Legge, 10th Earl of Dartmouth (23 September 1949) married Fiona Campbell in June 2009. They have one son. Lady Charlotte Legge (16 July 1963) she married Don Alessandro Paternò Castello, 13th Duke of Carcaci on 19 December 1990. They have three children. Hon. Henry Legge (28 December 1968) married Cressida Hogg (daughter of Sir Christopher Hogg) on 21 December 1995. They have three daughters. Following her marriage, Lady Dartmouth began to take a strong interest in politics. At age 23, she became the youngest member of Westminster City Council as a Conservative. As Lady Lewisham, and later Lady Dartmouth, she remained in local government for the following 17 years. She sat on Westminster's town planning, parks and personnel committees, and was later elected to represent Richmond on the Greater London Council. In this capacity she took a special interest in environmental planning and ancient buildings. She chaired the Covent Garden Development Committee and the government working party for the United Nations Conference on the Human Environment in Stockholm. 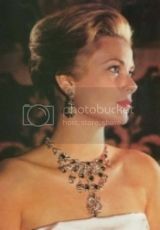 In 1973 she began a relationship with John Spencer, Lord Althorp, her colleague on an architectural heritage committee. Lord and Lady Dartmouth were consequently divorced in 1976. Lord Althorp succeeded his father as the 8th Earl Spencer on 9 June 1975. Lord Spencer and Lady Dartmouth were married at Caxton Hall, London, on 14 July 1976. As Countess Spencer, Raine was unpopular with her stepdaughter Lady Diana Spencer and her siblings, who referred to their stepmother as "Acid Raine". However, media reports have suggested that at the time of her death Diana had reconciled with her stepmother, while her relationship with her mother Frances Shand Kydd, had been strained; Diana and her mother had not communicated for several months before Diana died. In 1978 Lord Spencer suffered a brain haemorrhage; his wife nursed him, and his recovery is credited to her care and devotion coupled with the use of an untested drug. Following her husband's illness, Lady Spencer was widely criticised by the press and conservationists for her redecoration of Althorp, the Spencer family seat; it was felt that the heavy use of new gilding and wallpapers failed to compensate for the missing treasures which included, besides properties and land, works by Sir Anthony Van Dyck and Thomas Gainsborough, furniture, china, porcelain, silver, gold, and family documents sold to fund the project and necessary restoration of the house. The Earl fully endorsed and assisted in his wife's alteration to Althorp and fund-raising activities. However, this was not enough to stop Earl Spencer's son and heir, Charles Viscount Althorp (later the ninth and Present Earl) from describing his stepmother's taste in decoration as having "the wedding cake vulgarity of a five-star hotel in Monaco." Lord and Lady Spencer led an opulent lifestyle, entertaining frequently and generously, and travelling greatly. In February 1981, they became globally known following the engagement of Lady Spencer's stepdaughter Diana to Charles, Prince of Wales. The Countess attended their wedding in 1981, but was not seated with her husband: while the Earl and Mrs. Shand Kydd and their other children sat opposite the Royal Family, the Countess and Mr. Shand Kydd, the bride's step-father, were both seated in the congregation. Countess Spencer did not appear on the balcony of Buckingham Palace following the ceremony. When Lord Spencer died on 29 March 1992, the dowager Countess immediately left Althorp, as she and her stepchildren had a poor relationship. It was reported that Diana ordered her clothes, which had been packed in suitcases with the Spencer emblem, to be removed and put into black bin liners instead. She received a £4 million inheritance and a townhouse in London's Mayfair from her husband. In July 1993, Raine Spencer married a third husband, Count Jean-François Pineton de Chambrun (a descendant of the Marquis de La Fayette and a member of a prominent French family related to the American Roosevelt family), after a 33-day courtship. They married in a civil ceremony in London. The Count, a younger son of Jean-Pierre Pineton de Chambrun, Marquis de Chambrun (a deaf biochemist-artist), was previously married to an American, Josalee Douglas. The Countess again attracted charges of vulgarity in Britain when it was discovered that pictures of the wedding had been sold to Hello magazine for a reputed £70,000. Her mother did not attend the wedding ceremony. It was at this time that, while none of her Spencer stepchildren attended this wedding, it was claimed that there was a rapprochement between her and the Princess of Wales. The de Chambruns' marriage was short-lived and the couple were divorced in 1995. Styled since the marriage as Comtesse Jean-François Pineton de Chambrun, Raine chose to revert to her previous surname and style of Raine, Countess Spencer, despite this being against convention. In December 2007, Spencer was again featured in the news, giving evidence at the London inquest into the death of Diana, Princess of Wales. Making a rare public comment on her relationship with her stepdaughter, she said: "[Diana] always said I had no hidden agenda. So many people, because she was so popular and so world famous, wanted something out of her. It was a very draining life." Later she told the court, "Well, we all want the dark handsome gentleman to walk through the door." Latterly, Spencer was a member of the board of directors of Harrods, and occasionally worked in the store, although as she told the inquest "Ironically, I never went shopping in Harrods. It was my husband [Earl Spencer] who practically lived there." Her principal home was in Mayfair, London. Her death at age 87, following a short illness, was announced by her family on 21 October 2016. 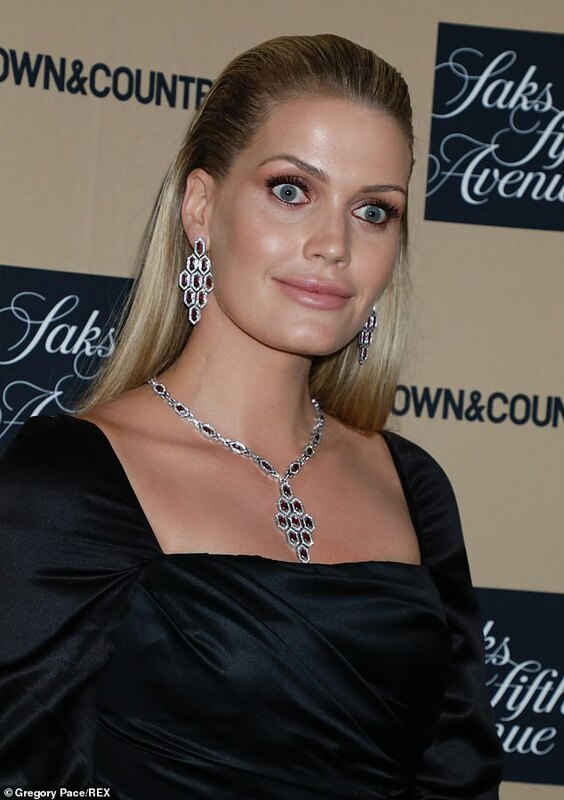 Diana’s niece Lady Kitty Spencer has, I believe, found herself a new beau – a super-wealthy tycoon who is five years older than her father. 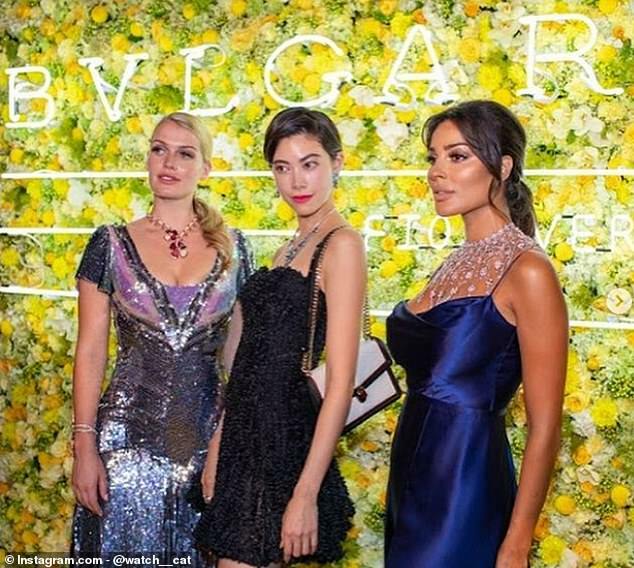 Lady Kitty, 27, who previously dated property magnate Niccolo Barattieri di San Pietro, 47, for four years, has now been linked to retail tycoon Michael Lewis, 59. He owns the high street fashion chains Whistles and Phase Eight. Both Kitty and Michael’s people remained resolutely tight-lipped about any flourishing romance when I approached them both. But what surprised me was that when I first approached Michael, it was Lady Kitty’s publicist at her model agency Storm who returned the call! Previously the same publicist had helpfully dismissed an earlier rumour that she was dating a different man last year. This time there was no such denial. Last week Lady Kitty, daughter of Earl Spencer, 54, and Michael were both travelling separately in southern Europe but it is not clear if they met up. She has recently ‘followed’ his children on Instagram. Sources close to Michael, who also runs Oceana Investment Partners, confirmed that the blue-blooded model has visited his £19 million, seven-bedroom mansion close to Regent’s Park. While some eyebrows have been raised among Lady Kitty’s close circle, it is clear that she does have a penchant for the older man. She was left heartbroken when Niccolo, 20 years her senior, dumped her last year to set his sights on Elizabeth Hurley. My fingers are crossed things end happily this time. He's too old for her. iMO. She really needs to find a man her own age, or maybe a few years older. Not men who are old enough to be her father. No surprise if it doesn't end well. Too big an age gap! What will he talk to her about? Her algebra? They talk at cross purposes. Kitty is talking about the size of his wallet. Michael is talking about her age and her lineage. James Hewitt (in 1980s) resemblance is UNCANNY! She looks a lot like her mother too. Will's inherited some of his looks from John Spencer. More class in a creased frock than in the whole of council cath and murky put together. She is stunning when made up and has the "it" factor that is unfortunately missing with the other two. kitty, her sisters & brother have very beautiful faces. diana's sons unfortunately NOT. their wives cannot be more plain looking (particularly Meghan). ^Good heavens! What has she done to herself? You and me both, Alexandrine! I get a very, very bad vibe from this woman. She is not all together. Talk about decayed aristo material mixed with "model" prole genes. This one makes me feel like MM may really not be the absolute worst thing that happened to the Royal circles. Everything I read and see about this woman is beyond dubious and creepy. She seems drugged here, which she probably is. Let them be. If only people like that could walk themselves off the gene pool. May sound harsh but - ugh. Good grief those photos are scary. Talk about sinister Stepford Wife looks. And all the mess I read about her with her vapid clubbing lifestyle... she is a major .